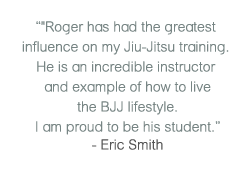 Would you prefer to learn Brazilian Jiu Jitsu in a one-on-one private setting? 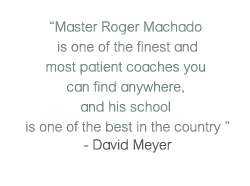 At Roger Machado Jiu Jitsu Pasadena we offer private instruction classes with Professor Roger Machado. 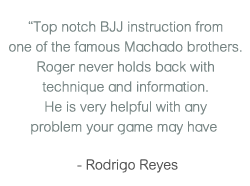 Professor Machado can work directly with you to quickly develop and evolve your technique.